Barry Morgan is a qualified PGA member who has had many years’ experience coaching players of all levels, from beginner to Tour professionals. Barry provides golf lessons at Thornleigh Golf Centre in North Sydney. 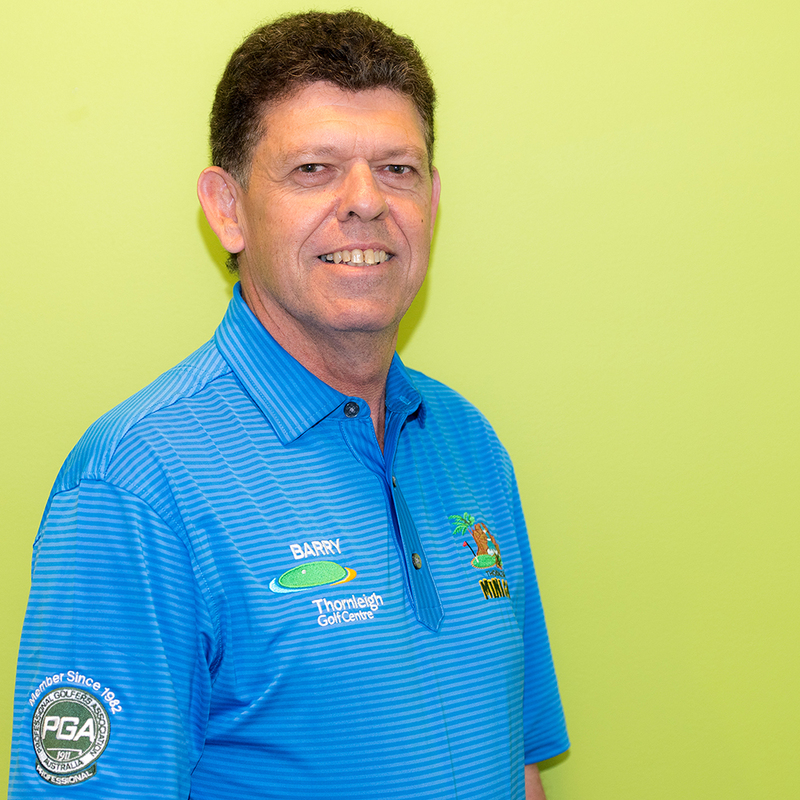 After completing his traineeship at Ryde- Parramatta Golf Club, with renowned Australia Tour professional, Mr Frank Philips, Barry played the Pro-Am circuit and Australian Tour events for five years, before taking the position of Senior Assistant professional at The Lakes Golf Club in 1987. While at The Lakes, Barry developed his coaching skills having great success with players under his tuition, winning a number of club championships and some of those better players going on to become Golf professionals themselves. From 1995 to 2016 Barry was employed as either the Head Golf Professional or The Director of Golf at a number of golf clubs. While at New Brighton, Barry had great success with their Pennant Teams winning a number of times, their division and the Juniors in 2005 winning the Sydney Metropolitan Pennant. Barry also had the opportunity, while at New Brighton Golf Club, to coach both Mi Hyang Lee (LPGA Tour Player) and Jordan Mullaney (Australasian Tour Player). Working with these Tour Players, Barry has been able to help them with their mental approach to the game, as well as their swing. Barry’s philosophy has always been to make sure his pupils had a complete understanding of their swing and to keep in simple terms. The real enjoyment in golf is challenging yourself to be the best that you can be.